SHUATS is a Christian Minority Institution declared Deemed University under Article 30 (I) of the constitution of India; and it has about 9,000 students, nine distinct faculties with close to 1200 staff members, a host of international links and cooperative programmes, and full accreditation by various Statutory bodies. Besides agricultural sciences the University has expanded over the last twenty years and presently has a wide variety of disciplines in Science, Humanities, Media, Health, Veterinary Science, Education, Business Engineering and Theology. This university is dedicated to the vision and mission of its founder Dr. Sam Higginbottom: Feed the Hungry, Serve the Land: Gospel and Plough. Yeshu Darbar (A Royal Court of Jesus) is held every day and is a great blessing for thousands of people who gather to hear the Word of God and ask for Christ’s blessing. Staff & Students often go through personal, social, cultural, emotional and spiritual problems while dealing with usual pressures along with the perplexities of university life. The benefits of talking with a trained counselor under such situation cannot be undermined. We believe that every individual is created in the image and likeness of God and belongs to God. 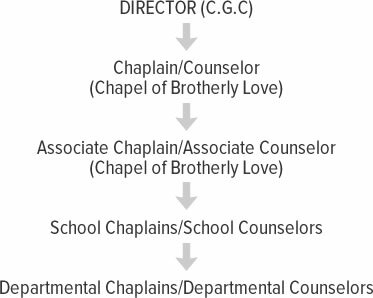 One prime function of the Directorate of Chaplaincy, Guidance & Counseling will be to provide effective help when a member of the university family is in need of the same or seeks it. Though the Directorate shall be responsible for counselling to anyone facing such problem, but particularly help the Staff, students and families on campus of the University. Directorate will be equipped with facilities/space/faculty needed for the purpose. There would be sufficient number of trained counselors to do the counseling work in each faculty/college/department. To inculcate Christ-likeness in the family of the University in order to produce responsible citizens in India and for the world. To share love of Christ through presentation of the gospel of Lord Jesus Christ to all people including the staff and students of the University. To inculcate purpose driven life among staff and students of the University. To bring together the latest findings of modern developments with deepest insights of spirituality through Conferences and Symposiums as Young people are raising questions with regard to creation, identity, search for meaning of life, destiny, question about the existence and character of God, relationship between Creator and creation etc. To carry out regular morning assemblies in the University Schools and departments. To ensure Christian staff/students and for others optional attending Yeshu Darbar especially Saturday Moral & Values Classes addressed by Hon’ble Vice-Chancellor/Bishop Yeshu Darbar and other reputed ministers of the Lord. To conduct regular Chapel Services for university community through Chapel of Brotherly Love. To promote Children Ministry for campus children. To monitor the spiritual activities of various fellowships in the campus. 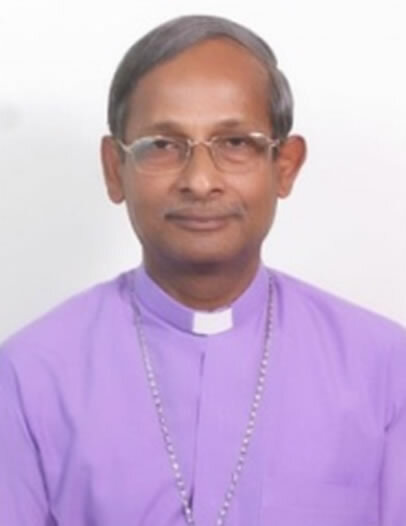 To recommend the names of School Chaplains, Departmental Chaplains, Staff Advisors of fellowships for the approval of Hon’ble Vice-Chancellor through the office of the Registrar. To develop training programme/workshops on Counseling and Biblical Theology for the School Chaplains/Departmental Chaplains & Staff Advisors. To develop more theological programmes based on Christian Counseling and Moral & Value Education, for Diploma Courses and Certificate Courses with the faculty of Theology as per the need. To encourage the staff and students to use their talents for the glory of God through retreats and seminars with preachers of National and International recognition this will help the students to understand the reason, existence and purpose of God in their lives. To identify and help the needy and poor Students through Yeshu Darbar Scholarship. To assist the University Staff and students for Christian stewardship for sustainable environment on campus (green campus) and surrounding areas. To inspire and train students with Christ centered leadership and team work among students transforming them to take leadership positions in society through debate competition, music competition, extempore, Bible Quiz etc. To motivate staff to perform their duties and responsibilities effectively through the power of the Holy Spirit towards students and university.